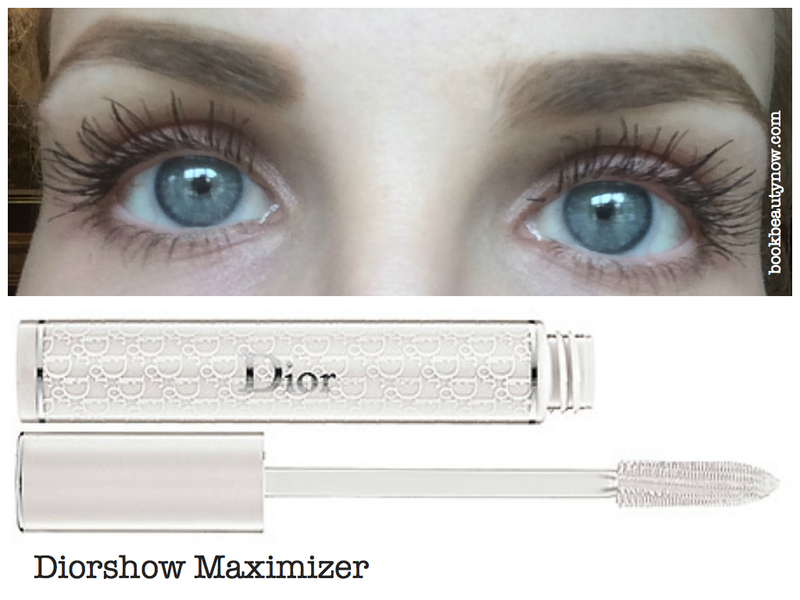 I discovered Diorshow Maximizer because my lush-lashed friend Audrey raved about it. She swears the primer makes her regular mascara (she likes Dior Diorshow Mascara) go on more smoothly and gives her added volume and length. 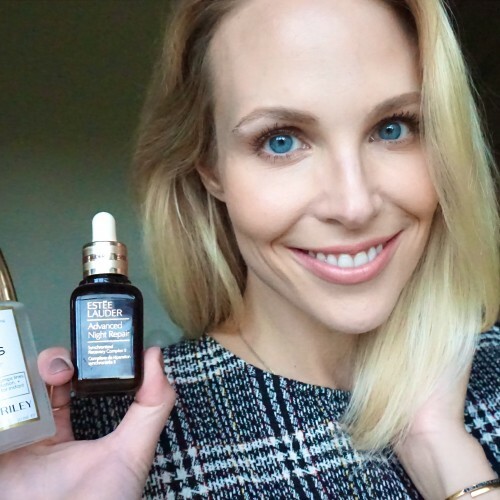 Since I just received a sample size of Diorshow Maximizer in a Saks gift bag, I thought I’d give it a go! I think you’ll agree that the results after one use are pretty phenomenal. There’s also a treatment aspect to Diorshow Maximizer— Dior claims it is the first “active serum” lash primer that uses a cell conditioning complex to promote lash growth and strength. 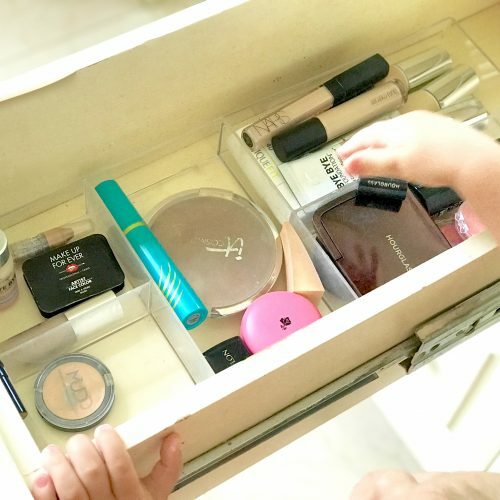 Audrey (and her mom) have both used it for about two years and swear that the Diorshow Maximizer has made their lashes longer. Audrey said the eyelashes on her left eye used to be shorter than her other side, but now they have evened out. You can definitely see that there is some added length when I used the Maximizer first, particularly on the right side (my left eye). 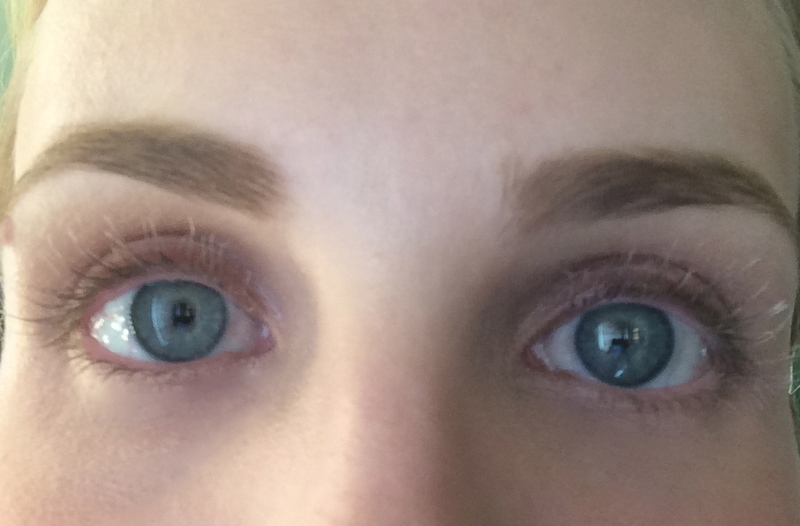 Warning: not all lash primers are created equal! 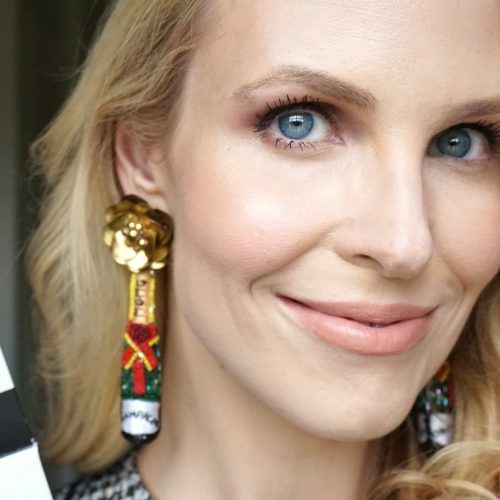 I was hesitant to try Diorshow Maximizer because I have tried lash primers before, usually in a two-sided drugstore mascara (like Loreal Double Extend). 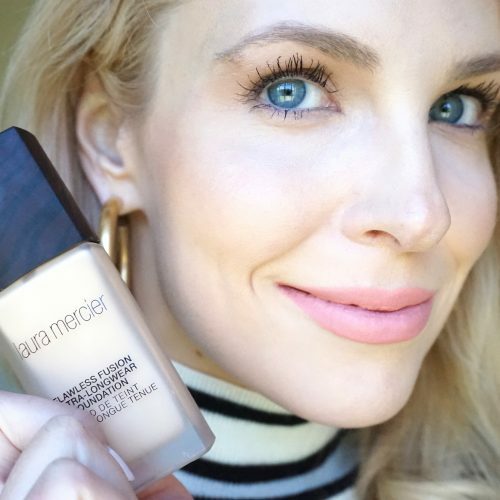 I thought the primer made my mascara overcoat more stiff, dry and harder to apply smoothly. With the Dior Maximizer I did not have that problem- the Clump Crusher still went on pretty smoothly over the Maximizer, even though the Maximizer had dried slightly. I was also concerned that the white color of the Maximizer primer would make my lashes a lighter black, but that did not happen either. 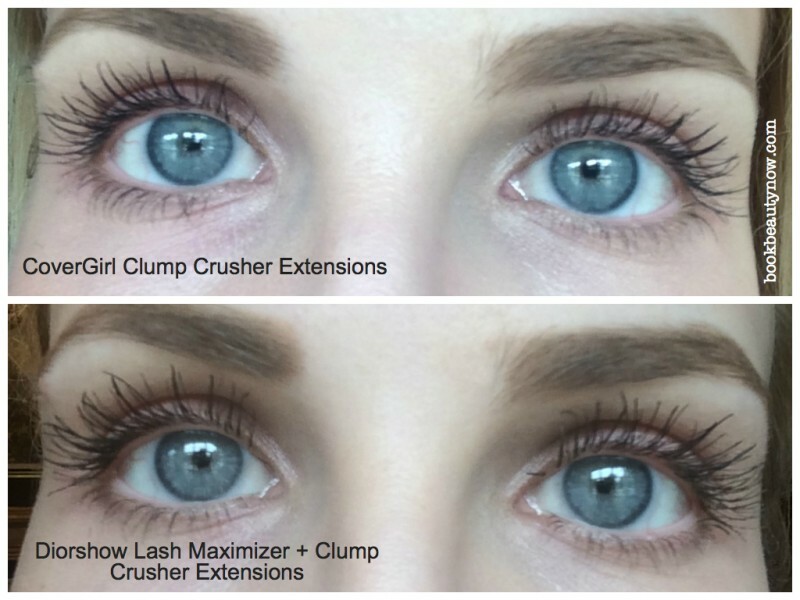 From now on my evening lash look will be Diorshow Maximizer plus CoverGirl ClumpCrusher Extensions. 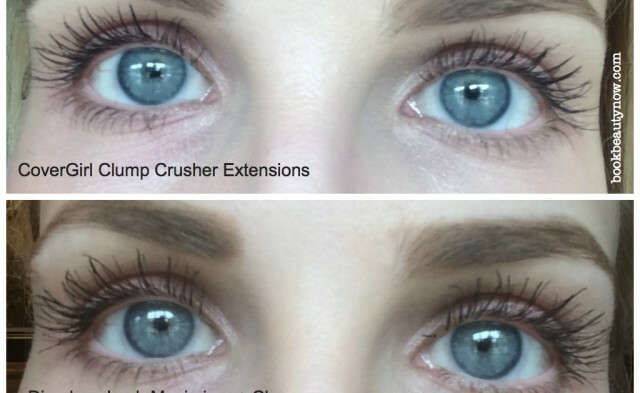 I was happy with the look of ClumpCrusher Extensions by itself, but now after seeing the comparison photo, I can’t go back!